Christmas brings out the best and worst in all of us. And that ever-present tug-of-war between wanting to get our kids everything that we never had as children, needing to stick to a budget and wanting to cut back on the excessive consumerism and consumption. Tanya Abdul Jalil, Helping shape a world where work helps each person shine and is a joy, not a burden. And more and more families are embracing the magic of Christmas, even if they aren’t Christian. A quick survey at school pickup found that all the parents I spoke to would be giving presents at Christmas, and Santa would be paying their kids a visit. The main reasons – peer pressure – every other parent is doing it and they don’t want their kids to miss out. So, what’s the real meaning of Christmas, and how can we make it relevant to our kids without it becoming a spending frenzy? Traditionally, Christmas has come from the Northern Hemisphere. In the middle of winter, it is a time to gather together and eat warm, nourishing foods, give gifts and be kind to each other and help those in need. Here’s how we can bring back the magic of Christmas for everyone, by getting back to the basics of why we’re doing it. One of the most overlooked parts of Christmas is how special it is to gather family and friends from far-flung places together to share a meal. Whilst tradition says this should be multiple roast meats, with all the sides and trimmings, there are no hard and fast rules. In Australia, where Christmas is in the middle of summer, more and more families are using Christmas as an excuse for an extravagant seafood buffet, with delicious fresh salads that celebrate the local food. It’s easy to get lost in the griping and whinging of packing up and travelling, or needing to be two places in a day, and everyone being overwhelmed. But the older I get, the more I realise that these opportunities to catch up are rare, and sometimes, there is no next year to see someone again. Cutting it back – if you’re going to multiple events with the same people – consider merging a few, or picking the most important one. Spread them out – why not try catching up before or after Christmas when things aren’t quite so crazy. Embrace the tradition of different cultures like the European St. Nicholas day that gives gifts on the 6th of December, or the Spanish and Mexican gift-giving on the Epiphany on the 6th of January. Giving gifts at Christmas is as old as the first Christmas when Jesus was born. The story is told that three wise men travelled to the stable where he was born, bringing gifts of gold, frankincense and myrrh. Not the most practical of gifts for a newborn, but the tradition has continued ever since. Managing people’s expectations – if money is tight, tell them it won’t be extravagant gifts this year. Everyone understands that we all go through times when spending money on gifts comes down the list to bills and food. Give gifts they will cherish – will Grandma really cherish another set of hand wash more than a framed photo of her Grandkids? Will your child want to hang onto that plastic toy more than memories of a day at the zoo with their family? Will you really cherish a new rice cooker more than a voucher for a day off from cooking and cleaning? Go minimal – 10 cutesy erasers and small stationary items is 10 bits of clutter you need to clean, tidy, organise and store. If they already have one (or multiple) of the same thing, that’s in good condition, don’t give a different one just for the sake of it. Ask any stressed-out mother what Christmas means to them, and stress is likely to come up in the top 5 responses. 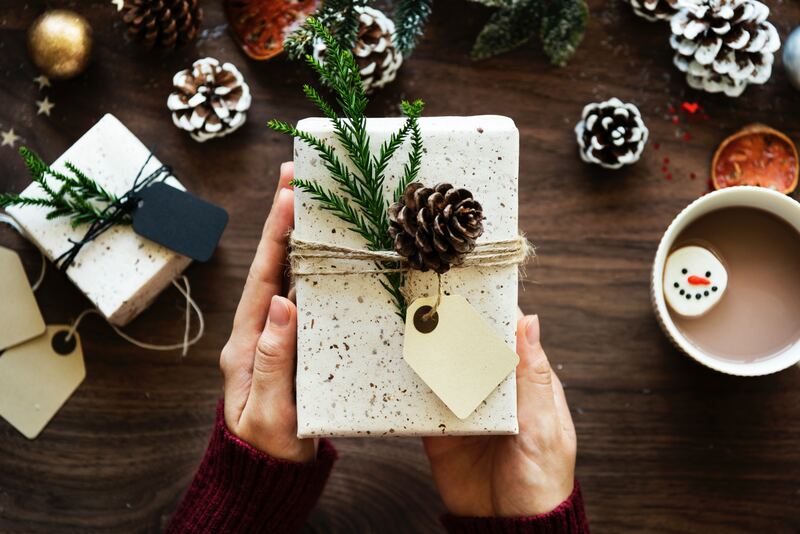 Chances are, this attitude, that Christmas pressure is all on mothers to create the perfect, memorable day, has been passed down by our own mothers, and society. We don’t have to accept it and take it on as our own stress and we don’t need to fall into the trap of needing the day to be perfect (whatever that means). Let there be failures – if the Christmas pudding falls to bits – don’t stress out trying to bake another one. Laugh it off, serve it with some custard, and no one will even notice. Don’t try and Instagram it – take photos of what’s really there, and tell the truth of your Christmas. In years to come, no one will notice the mess and how much effort you made, they’ll be looking for the people they love, as they remember them in the photos. Take time out to look after yourself and get enough rest – sounds simple, but easy to overlook when there are a million things to do. Delegate, Delay, Delete – Write down all the things you ‘must’ do before Christmas, then give them the 3D treatment. Delegate what you can, delay anything that can wait, and delete anything that’s not vital. Perhaps the most important bit of the Christmas spirit is giving to others. The most cherished gift you can give to others is your time and love. Having a happy, relaxed family time at Christmas because you take the stress off yourself is one of the best gifts your family could ask for. But it’s also a hard and lonely time for many people, and there are lots of easy ways to give back to them too. Give back all year round. If you have a relative that is getting older and lonely, don’t wait for a once a year visit. Make the effort more often and invite them along to things throughout the year. Ask them for what they need – maybe it’s just a visit, a cup of tea and a listening ear, sorting out a cupboard of junk or the linen cupboard they can’t manage or cleaning the bathroom if they can’t get down to reach it. Get the kids involved – ask them to draw a picture placemat for the Christmas table, or write out the Christmas cards with a special message. Acknowledge loved ones who are not there to celebrate. One of the hardest things people find when grieving is when their loved one is not mentioned anymore. Taking the time to check in on grieving relatives, share stories of your loved ones and remember them is one of the best gifts you can give this year. Have you taken steps to bring the spirit of Christmas back into your celebrations? I’d love to know what you’ve done and if it worked. Tanya was a teacher before making a career change to the world of Skilled Migration. After many years of working in training and development, compliance, project management and more, she is starting the next part of her career change as a business owner. Now as a mother of three children under 6, she blogs about career change, social media, and small business, and provides training and support for small business at Employment Avenues and Your Business Wife. She loves to help women reshape their career dreams after having children and helping them identify their unique skills and talents.